one can make the impossible possible while managing risk. Europe has been working hard to promote entrepreneurs and innovation through government grants and incentives. But generally speaking, the culture of Europe is more traditional than in the US, especially Silicon Valley. As a result, people will openly talk about how failure is not acceptable which sometimes manifests itself as a borderline obsession to manage risks. When this obsession is practiced to an extreme, it can take the form of negative target fixation, which can lead to risks and fears becoming reality. Here’s how it works. Basically, when you are fixated on a target, that is where you will go. Negative target fixation has been used in aviation to explain a phenomenon observed in analyses of plane crashes. 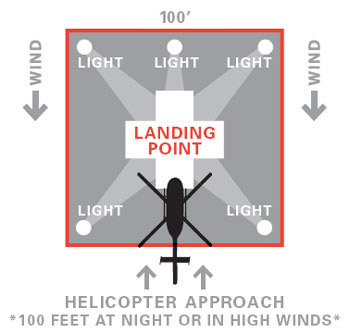 When pilots are preparing for an emergency landing they need to find an open field, for example, in which to land the plane. If pilots focus instead on AVOIDING a nearby mountain or river or field of trees, they often end up crash landing there. They are focusing on what they don’t want, instead of what they want, and then they inevitably end up there. The problem in scenarios of negative target fixation is the act of being “fixated.” Thus, it is similarly not good for a pilot to be “fixated” on a positive target if their focus on the positive target is so narrow that they ignore audio warning signals coming from the flight deck or corrective information coming from the co-pilot. The antidote to negative target fixation is situational awareness. The ideal behavior to have is a focus on the positive target along with situational awareness. That is, the pilot should be headed towards a safe landing spot with an awareness of the mountains or trees he or she wants to avoid, input from the co-pilot, the instrument panel, and a “feel” of the airplane (or the helicopter in the figure on the left). This information should constantly be updated. Thus, leadership should be making statements that sound more like “This game is going to look so cool and entertaining” or “it’s really important that we plan to come in under budget with this game” or “think about all the ways in which this game can be a success.” These statements can be followed by a discussion and acknowledgment of what the current situation is and how risks can be managed and opportunities leveraged to reach the goals. This situational awareness is a big component of strategic planning that should be a part of a successful project. It is the “S” in a SWOT analysis of examining the Strengths, Weaknesses, Opportunities, and Threats in a project. Now, let’s get back to the issue of working in Silicon Valley versus a more traditional environment of Europe, in particular the Netherlands. I think it is really important when working on innovative serious games that the team is as positive as possible while acknowledging challenges. Innovative serious games are inherently risky because they are entering new territory and breaking new ground. As we already know from basics of improving motivation because we are hopefully incorporating models of learning and motivation in our games, a positive and supportive atmosphere increase learning and motivation to persist through ongoing challenges. A negative atmosphere increases fear which kills creativity and risk taking. What situation are you in? You may be right on course or your flight plan may need some adjustment given the situation. If you are a leader, whether you are in Silicon Valley or Siberia, you can model situational awareness and encourage your serious games group to practice situational awareness in a positive and supportive environment. If your game project seems to be going down the wrong path, ask yourself if negative target fixation is playing a role. Are you getting your team to focus on where you want to go? Or are you focusing more on what they should avoid and what could go wrong? It’s not necessarily bad to look at what you want to avoid, but awareness and not fixation is the key. Well, that was good timing, thanks. Have been in the doldrums for a bit, this was a nice lift. Glad to know it left you feeling uplifted! A very useful post, and very true too. Thank you. Hi David, I’m glad you found it useful. I hope you haven’t had to suffer through too much negative target fixation in your projects. Here’s to working towards a clear vision of success in our projects! one that lets several individuals to play together. its reviews before purchasing it. whoa this blog is fantastic i really like readin your posts. "How do you measure self-efficacy? The answer may surprise you"
"For an effective game, do your homework and address a big problem"